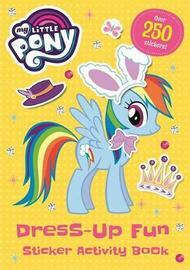 Dress up all your favourite My Little Pony friends in this fun-packed sticker activity book! Twilight Sparkle, Pinkie Pie, Rainbow Dash, Applejack, Rarity and Fluttershy need your help to choose the perfect outfits and accessories for every occasion. Pick costumes for parties, snuggly winter outfits and lots more! 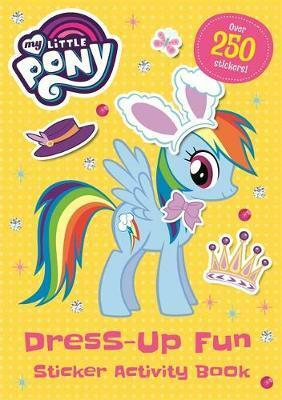 With over 250 stickers this bright and colourful book is guaranteed to keep little pony fans entertained at home, on holiday or on the move. My Little Pony: Friendship is Magic is the number 1 series on Tiny Pop and PopTV, and is also available to stream on Netflix and BinWeevils. My Little Pony: Go, Rainbow Dash!